Here in the wake of Thanksgiving, there’s a tremendous marketing push by retailers who implore us to buy more things. Frankly, our entire economy depends upon people buying stuff they don’t need. But Americans have a tendency to romanticize the Before Times™ — an era when consumerism wasn’t so rampant. This longing for the days of old is misguided at best. One need only look at the board games of the 19th and 20th centuries for evidence. The commercialization of holidays is in many ways a product of the Industrial Revolution. But even as early as the 1880s, people were nostalgic for a time when consumerism wasn’t celebrated as the American way of life. At least in the 1880s, there were some people still alive who could still remember this bizarre time when Christmas was a relatively minor holiday. 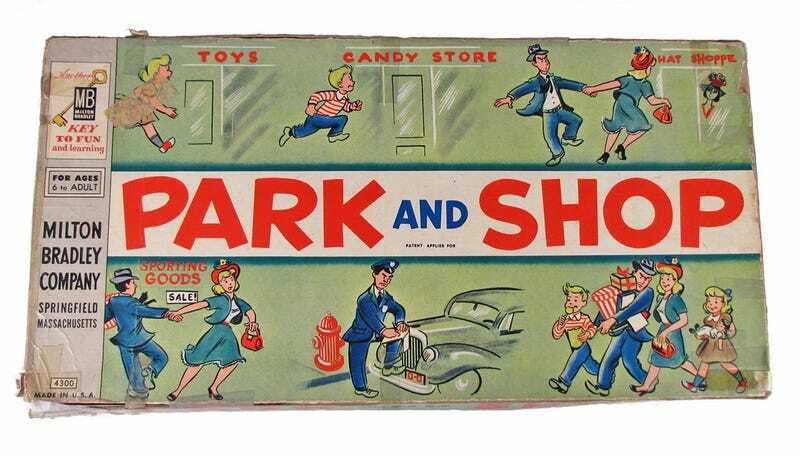 The Smithsonian has a great post about looking at American consumerism through the lens of board games. We learn about the push and pull of shopping, with so many games rewarding purchasing, while still others romanticized “simpler” times, when fewer goods were mass produced. Shopping board games can be dated back to the [19th century]. The Good Old Game of Corner Grocery, patented in 1887 by George S. Parker (of later Parker Brothers fame), was a nostalgic recreation of what shopping had been like before mass production, when the majority of Americans still bought their goods from small shops or independent wholesalers. Unlike later shopping games, the true adversary in Corner Grocery was uncertainty. At the start of every round, players did not know how much money they would have to use, or even which goods would be available for purchase. So, yes, there was a time when things like Black Friday or the over-the-top consumerist promotion of holidays like Christmas hadn’t yet occurred. But it was a time that no one alive today can remember. Fittingly, it’s in the board games of yesteryear (a mass-produced consumer product themselves by the late 19th century) that we learn about the history of American consumerism. You can read more about the history of consumerist board games over at the National Museum of American History.